Kerala is India’s most serene place for Spiritual Tourism and Nature Tourism , captioned as “God’s Own Country” which is visited by huge number of tourists to spend a idyllic holiday amidst tranquil and scenic natural ambiances. Secluded beaches, backwaters with lush green beauty, green carpeted hills stations, tropical forests, exotic wildlife, cuisine, fairs and festivals are the hallmarks of Kerala that graces it as the beautiful tourist Destinations of India. Among all these attractions Kerala Houseboats and Kerala Backwaters are two most captivating aspect of Kerala Tour that mesmerize and fascinate tourists to the hilt. With the Arabian Sea in the west, the towering Western Ghats in the east and so many rivers all around , Kerala enjoys unique geographical features that have made it one of the most sought after tourist Destinations in Asia. 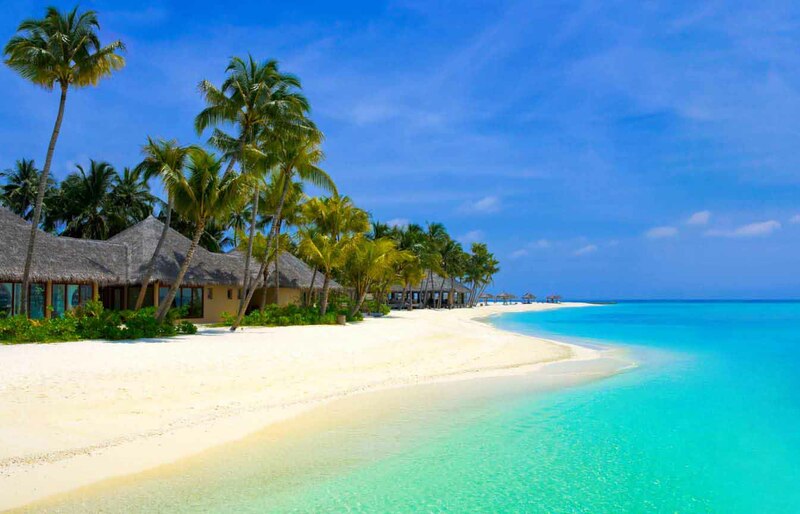 A long shoreline with serene beaches. hill stations and exotic wildlife, Waterfalls. Sprawling plantations and paddy fields offer tourists a unique experience. 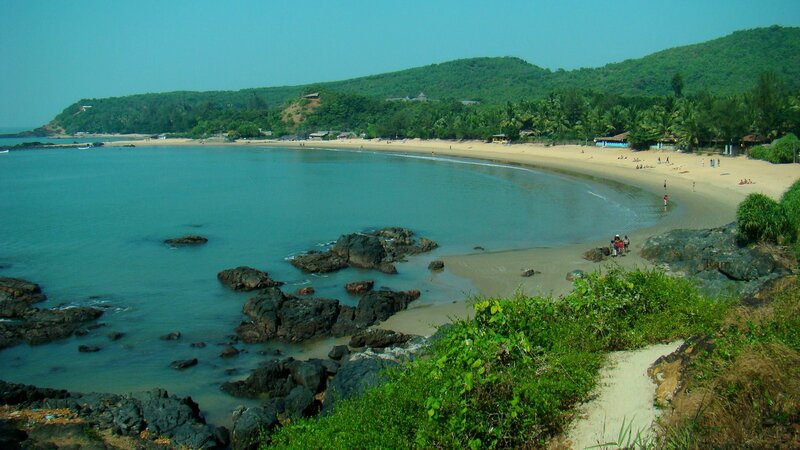 Udiron Tours and Travels organises the Spiritual Tourism amidst such pristine glory of nature. Kerala is a world away from the frenzy of elsewhere, as if India had passed through the Looking Glass and become an altogether more laid-back place. Kerala's culture and traditions, coupled with its varied demographics, have made the state one of the most popular tourist Destinations in India. 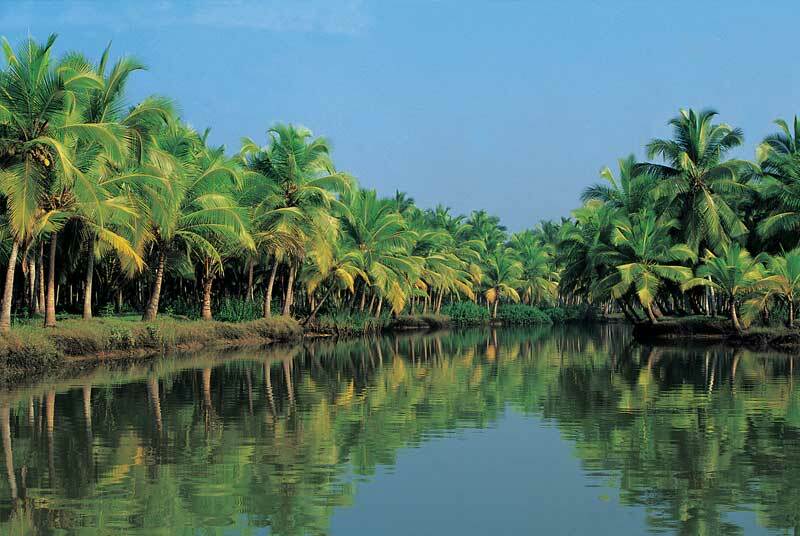 As per National Geographic's Traveller magazine, Kerala is rated as one of the "ten paradises of the world”. 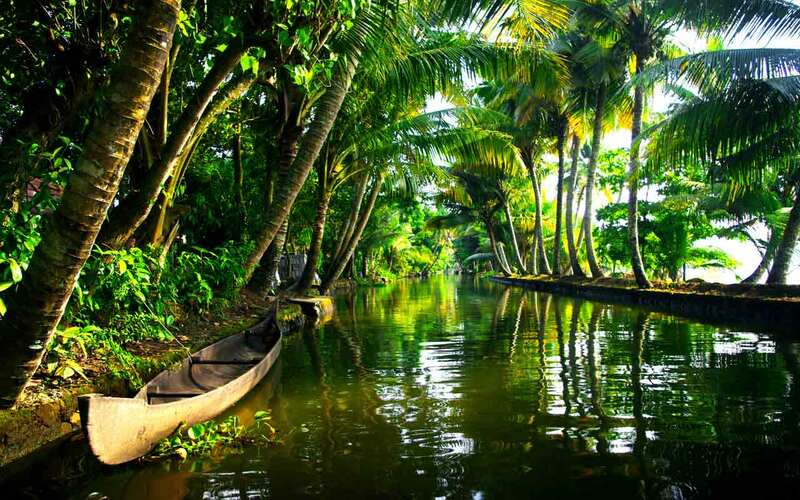 Backwaters in Kerala - one of the top attractions of the world veers one to a world of serenity and natural beauty. On a backwater tour in Kerala, one can actually enjoy the soothing sound of water rippling alongside the houseboat, while drifting on the waterways. 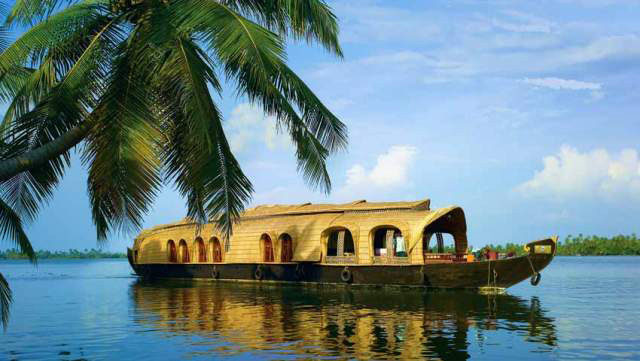 Cruising on Kerala houseboat through the backwaters makes one feel elated. 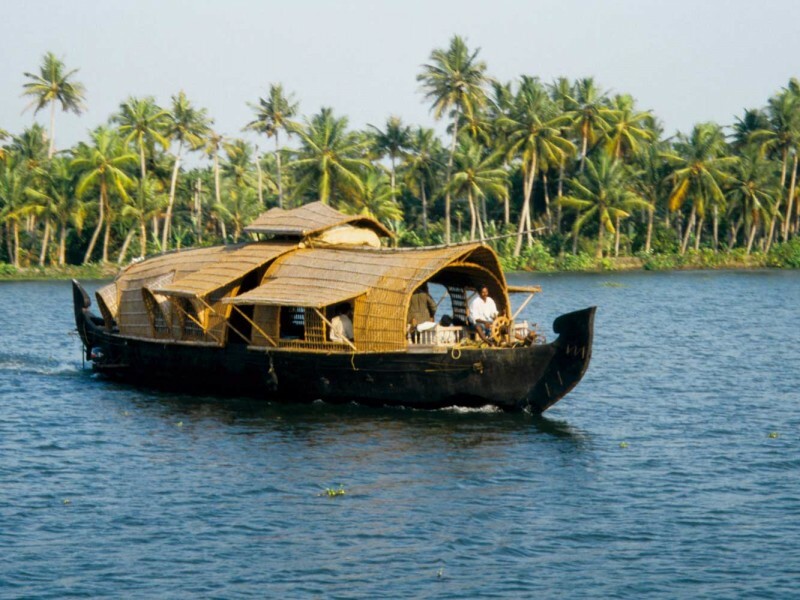 In fact, savoring the joy of this intoxicating boat ride is one of the chief facets of Kerala visit, to the tourists. A backwater cruise on Kerala houseboat, the floating houses is one of the best ways to explore the pristine beauty of this enchanting state. Long journey by boat between Kollam to Alappuzha is the best ever and the most enthralling experience of vacationing in the lap of the backwaters of Kerala. Places like Kumarakom, Trivandrum and Kochi also draw many tourists in the charm of backwater cruises.The rivers that make up the region’s backwaters are the star attractions. Further south are the beaches of Kovalam, while inland the mountainous Ghats are covered in a blanket of spices and tea plantations. Thus Udiron Tours and Travels explored and has chosen Kerala as a ideal location for Spiritual Tourism. Besides its famous backwaters, elegant houseboats, ayurvedic treatments and exotic cuisine, Kerala is home to wild elephants, exotic birds and the odd tiger, while vibrant traditions such as Kathakali plays, temple festivals and snake-boat races frequently bring even the smallest villages to life and can enchant people and give them an experience of Nature Tourism . The rolling hills around Munnar, South India's largest tea-growing region, are carpeted in emerald-green tea plantations, contoured, clipped and sculpted like ornamental hedges. The low mountain scenery is magnificent – you’re often up above the clouds watching veils of mist clinging to the mountaintops. Hill Stations like Chembra Peak, Chithirapuram, Devikulam, Idukki, Munnar, Lakkidi, Mattupetty, Peruvannamuzhi, Pythal Mala, Vythiri, Ponmudi, Nellyampathy Wagamon etc are endowed with lush greenery, arresting hills, peaceful surroundings and beautiful lakes – will enrich your thrust of wandering in nature and heal your mind so easily through the Spiritual Tourism . 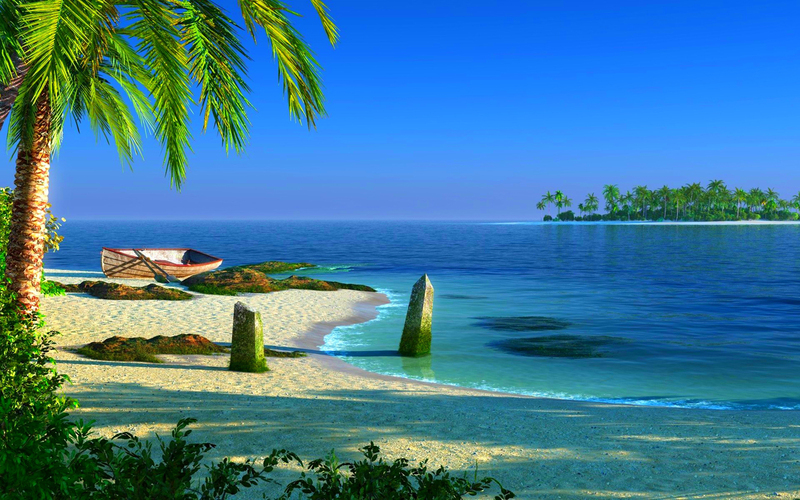 Kerala can boast of having some of the best beach resorts in the world. 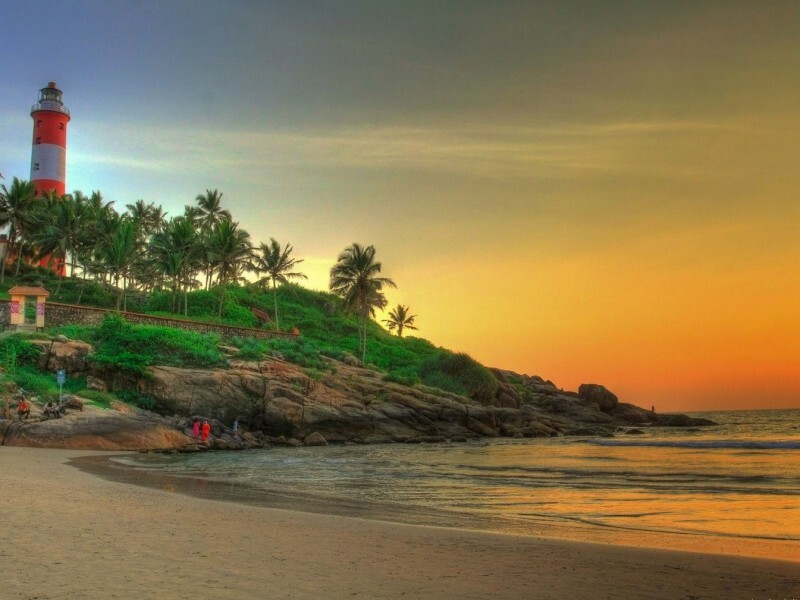 Beaches of Kerala have long perfected the art of capturing the hearts of tourists across the globe. 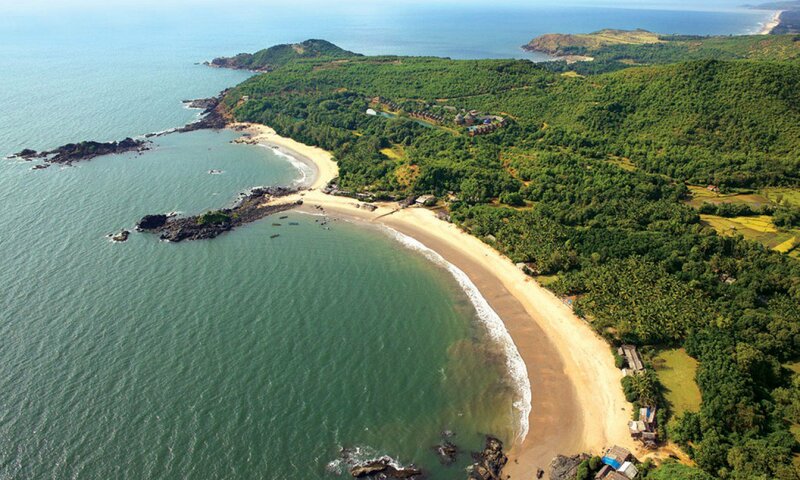 Visits to beaches like Alappuzha ,Bekal , Beypore ,Cherai ,Dharmadam Island,Ezhimala ,Fort Kochi ,Kappad , Kappil ,Kizhunna Ezhara ,Mararikulam ,Padinharekara ,Pallikere ,Payyambalam ,Shanghumugham ,Somatheeram ,Thangasseri ,Thirumullavaram ,Vallikunnu are captivating. 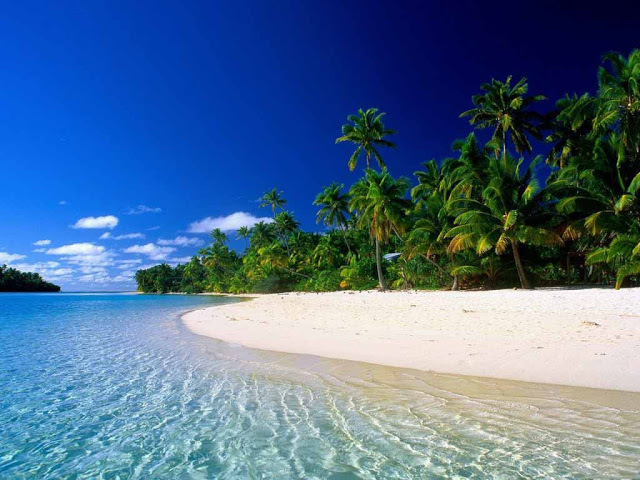 Udiron Tours and Travels offers best deal for tourism in such places. Kerala being gifted benignly by nature is an enigmatic ecstasy of inimitable wildlife. 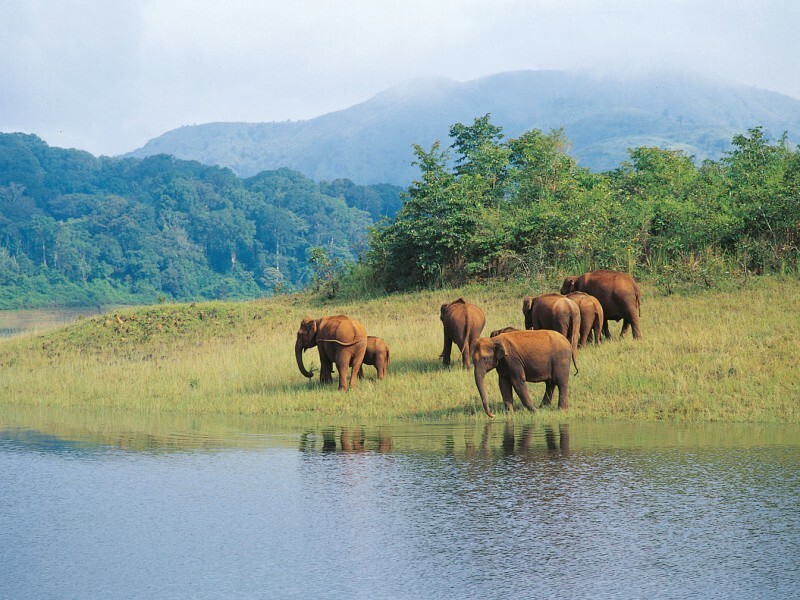 The wildlife Destinationss of Kerala are the enchanting places where every minute is worthwhile. The forest covered Highlands embrace the dense foliage, deep, echoing chasms with a rare range of flora and fauna. The Midland encompasses valleys speckled with secluded hills. This region presents a panorama of picturesque beauty which not only beckons vacationers to visit this mystic land but also is a home to the exotic wildlife species. Some of the best wildlife Destinationss of Kerala are Periyar Wildlife Sanctuary, Kumarakom Bird Sanctuary,Eravikulam National Park, Idukki Wildlife Sanctuary,Chinnar Wildlife Sanctuary,Thattekkad Bird Sanctuary ,Wayananad Wildlife Sanctuary Aralam Wildlife Sanctuary,Peppara Wildlife Sanctuary, Neyyar Wildlife Sanctuary, Nagarhole Wildlife Sanctuary and Peechi - Vazhani Wildlife Sanctuary. Kerala Adventure Tour takes visitor to dense greens, enchanting waterways and imposing mountains; palm fringed beaches and many other elements that offer a wide range of thrilling and exciting adventure sports. Kerala Trekking Tour and Kerala wildlife tour are very famous among adventure lovers as a part of Adventure Tourism . Generally tourists flock in to the place from the month of August to May. However, even the monsoons are lovely with many streams and rivulets flowing by the area. This gives the entire scenery a mystic touch thereby summoning sightseers from every nook and corner of the country and the sphere. The intoxicating aroma of tea and coffee wafting in the air fills one's mind with contentment!!! Visits to the major cities like Thiruvananthapuram, Kollam, Kochi,Thrissur, Kozhikode and others can give one understanding about Kerala’s people, life and culture. At Udiron Tours and Travels offers affordable price to travel and experience all aspects of Kerala in its entirety.